You know that green plants put oxygen into the air and help fight the effects of global warming. Plus, they look nice. So you have decided to do your bit in the battle to save the planet – and beautify your yard -- by planting a garden. Just be aware that how you approach your gardening can have a major effect on the environmental impact your efforts have. 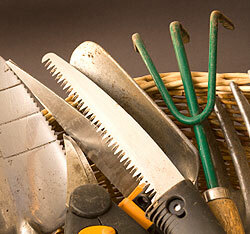 There are many excellent books about “green” gardening, as well as online sites. And you probably can get some good advice from your local garden center. Of course, you can do as much or as little as you want. But even if you don’t want to set up a worm composter and collect rainwater to use for irrigation, you can have an environmentally friendly garden. First, choose plants for your garden that are native to your climate. Because these plants are appropriate for the amount of rainfall you get, you will have to water less. And because they are suited for the amount of sun and temperature variations, you will have better success with less effort. If you are not sure what plants are native to your area, talk to someone at a nursery or garden center, or check online. Even if you choose native plants, though, you will need to water sometimes. To avoid losing water to evaporation, don’t water during the heat of the day. And replace sprinklers with soaker hoses, so that virtually all the water gets into the ground. Mulching also can keep water from evaporating. In addition, it holds down weeds and returns nutrients to the soil. You can use leaves from your own yard, after they are cut up in your mower. Or you can buy organic mulch at most garden centers or from a wide variety of online sellers. But don’t buy cypress mulch, because much of the cypress for mulch comes from Louisiana swamps, where they are an important part of the ecosystem – especially after Hurricane Katrina. Don’t use chemical fertilizers. You can set up a home compost pile, which has the additional benefit of keeping organic materials from your home out of the landfill. Even if you don’t want to be your own composter, you can buy organic compost at most garden stores. Coffee grounds are an excellent source of nitrogen, which is vital to healthy plant growth, so mix your used grounds with some mulch. If you find your plants still need a little boost, ask at the nursery or search online for natural fertilizers. Instead of chemical pesticides, try natural pest-control measures. For example, ladybugs dine on aphids, which keeps aphids from dining on your plants. Herbs like basil, chives and mint and flowers like marigolds are natural pest-repellents. There also are natural substances that can help with pest control. Plant some bushes or plants to attract pollinators like bees and butterflies. This is especially important if you are growing vegetables. But even if you have only flowers, butterflies are an excellent addition to any garden. Finally, don’t use gas-guzzling lawn care tools like mowers and leaf blowers. Not only are they noisy, but they also create an enormous amount of pollution relative to their use. Try a good old push mower and a rake instead. You won’t disturb the peace and quiet of your lawn and garden. And as a side benefit, you’ll get some extra exercise.